It’s that time of year again when everyone’s good intentions slip, and New Year Resolutions are long abandoned. So-called “self-improvement” is hard, and there is no judging here. We are the first to admit that January is a tough month. Long dark days, dreary weather and the dreaded crowds that descend the gym. In short, we could all do with a bit of cheering up. To help boost everyone’s moods, we've hand-picked 6 shoes from our End of Season Sale, so picking up a great deal couldn't be easier. Join us in focusing on "shoe-improvement" this year by treating yourself to a great pair of shoes - that is one resolution we can all stick to. The Chukka Boot symbolises everything from teddy-boy pomp and 1960s flamboyance, to 21st-century cool. Designed to handle anything you can throw at them. These Barker Devonshire Chukka Boots are perfect for a relaxed weekend. Pair with a T-shirt and jeans for a fail-safe look. If you choose dark jeans, then turn up the cuffs to break up the dark colours to create a contrast. The Barker Flore is an excellent addition to any smart-casual footwear wardrobe. The sophisticated detailing on these classic lace-up brogues sets them apart from the crowd. You can choose from a range of 5 colours and finishes to compliment any outfit. Emulate Ivy league cool with the Dubarry Commander and set sail for a world of comfort. These exquisite boat shoes are made using Dubarry’s DryFast-DrySoft™ nubuck and fabric, making them as comfortable as they are practical. Perfect for the summer weather, these shoes have us thinking of warmer climates and longing for a cruise around the Med. These are a firm favourite. Colourful, unconventional and oh so stylish - they’ll be the first thing anyone notices when you walk into a room. This colourful brogue wingtip style is ideal for adding some eye-catching detail especially paired with navy or grey suiting. Play around with matching blue accessories for a real statement look. These Barker Amber slip-on brogues are the perfect example of why the preppy look is a mainstay. The brogue is typically known for its’ masculine structure, but these slip-on brogues are softened by the tassel and suede finish. Ladies, you can be sure that these brogues will provide all-day comfort with their full leather lining. They can be styled with anything, dresses, jeans or cigarette trousers - a very versatile shoe. The moccasin is timeless and will see you through season after season. These Dubarry Capri shoes are made from the highest quality water resistant nubuck leathers, for a style that you’ll enjoy wearing for years. Ladies, these shoes are a must for any getaway. You can enjoy all day comfort while sightseeing or lounging by a pool. 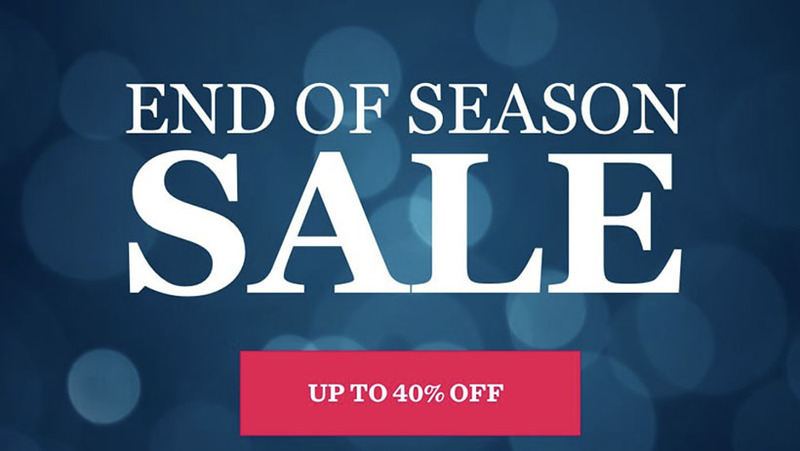 Check out our full End of Season Sale here for both men and women’s shoes from only the best brands such as Barker, Robinsons, Dubarry, Trickers and many more. Limited stock and sizes are available so make sure to pick up a great deal while you still can! UK Leather Goods are Where it's At!